It was my friends birthday today and she planned to have drinks with a few friends. 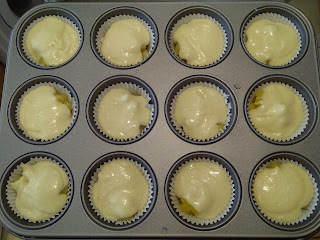 I thought it was the perfect time to make the next recipe in the book, Coconut and pineapple cupcakes. Now i can't hear coconut and pineapple and not think of Malibu rum. That's one of my favourite drinks and i think it goes perfectly with pineapple so i thought 'why not make some Piña colada?'. I've never made it before so i went all out and did my research. 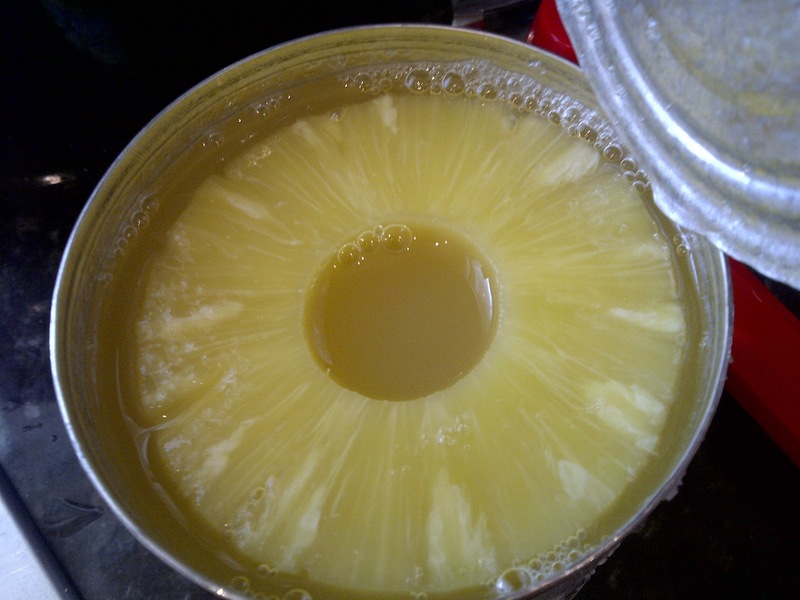 Piña colada is spanish for strained pineapple: piña, pineapple + colada, strained. After looking at several different recipes for this cocktail i finally formulated mine based on them and i was ready to try it. My friend is staying over so while we were getting ready to go out i made it. Put the ice, malibu rum, coconut milk and pineapple juice in a blender and mix till well blended. 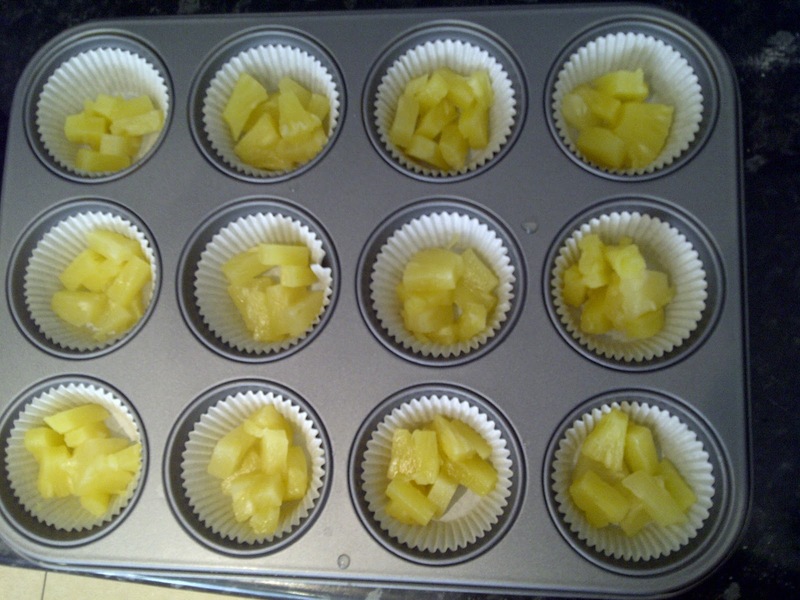 Pour into two glasses and put a small piece of pineapple on the rims. It was fantastic and definitely made getting ready even more fun. Beautiful start to the night. I made two more rounds. The first piece of pineapple i put on the edge of the glass was too heavy so it fell into the glass but i left it there and i think i'm going to make it a part of the recipe because it was a nice way to end it. I'll be making this again very very soon. Earlier today, before the Piña colada, i went out to get the special ingredients for this recipe, coconut milk, tinned pineapple rings and desiccated coconut. Making this was a lot like the strawberry cheesecake cupcakes but what i didn't expect was for it to be so good. 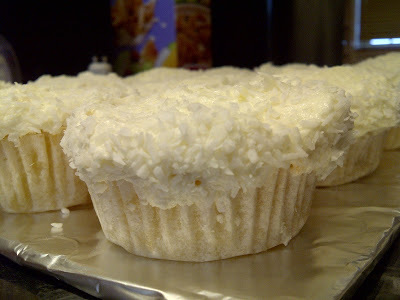 It had pineapples at the bottom, cake batter over it, coconut frosting and the desiccated coconut on top which made it a bit crunchy like the crushed digestive. 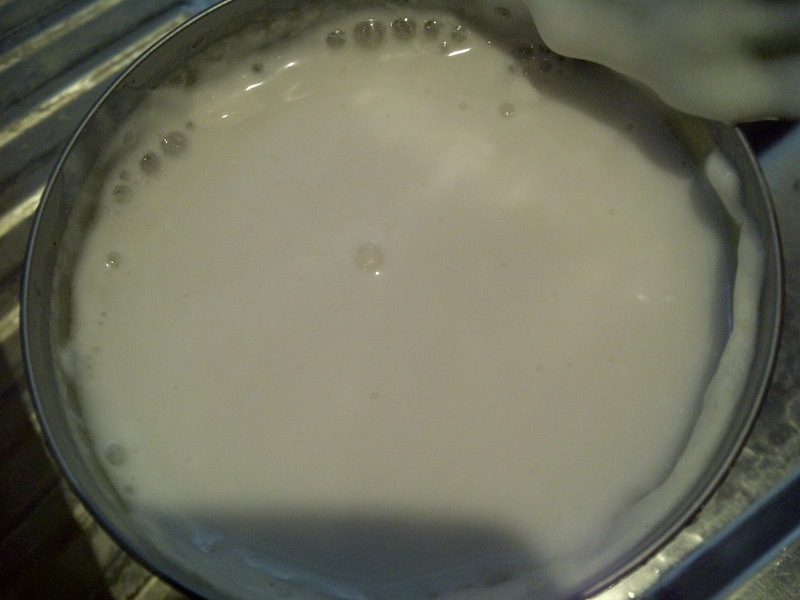 The coconut milk(which i've never used before) was thicker than regular milk and more like yogurt. 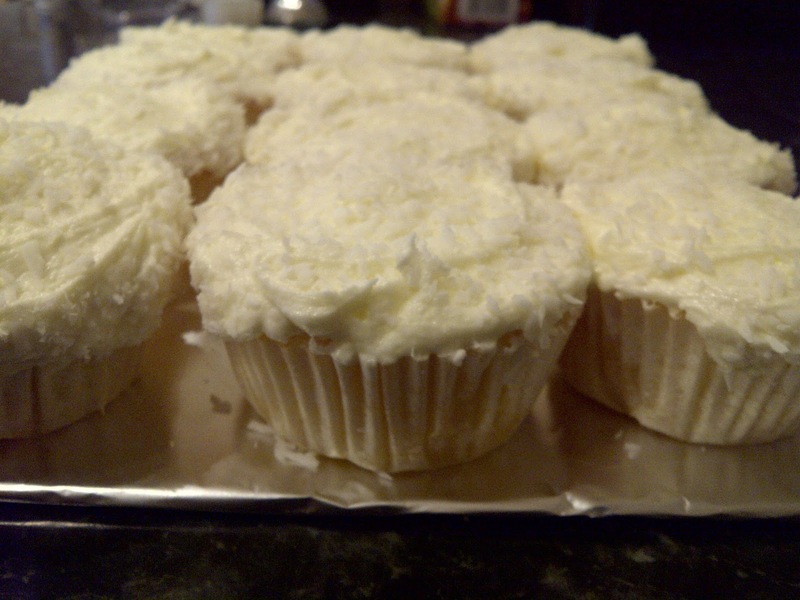 The frosting had to be beaten for 5-10 minutes till it was white and i must admit most times i don't beat frosting as long as it should be but this time i was really excited about the white frosting so i did. It was so worth it. I really wasn't sure about this one but i loved it. I won't lie to you, when i saw the title i was already like what? 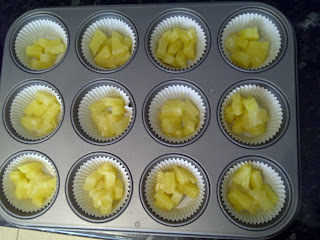 Pineappples in cupcakes? but it definitely looks delicious. Wish i was there to taste them. Can't wait to see you. Big ups! had dis one! !..gta say it waz.....*still searching for words*...I want more!! !